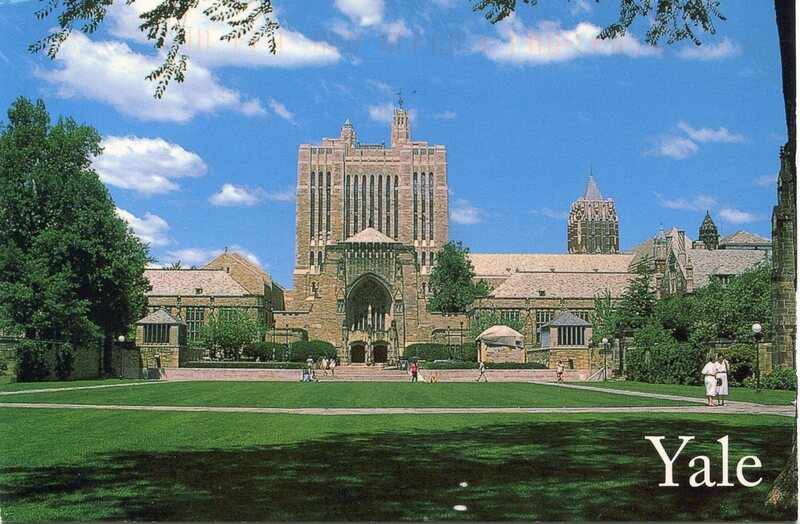 View of Yale’s Cross Campus with Sterling Memorial Library in the background. 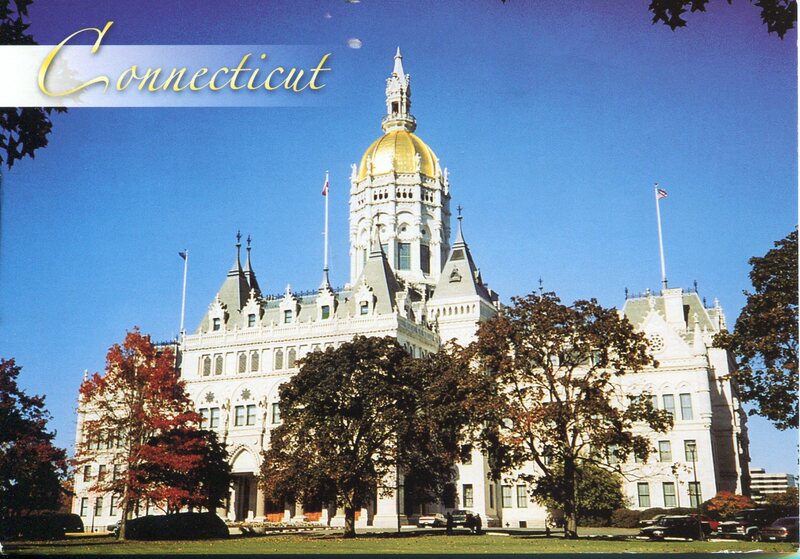 The State Capitol at Hartford, Connecticut, in Bushnell Park, was built in 1877 of Connecticut Marble, and is of modified French Gothic design. 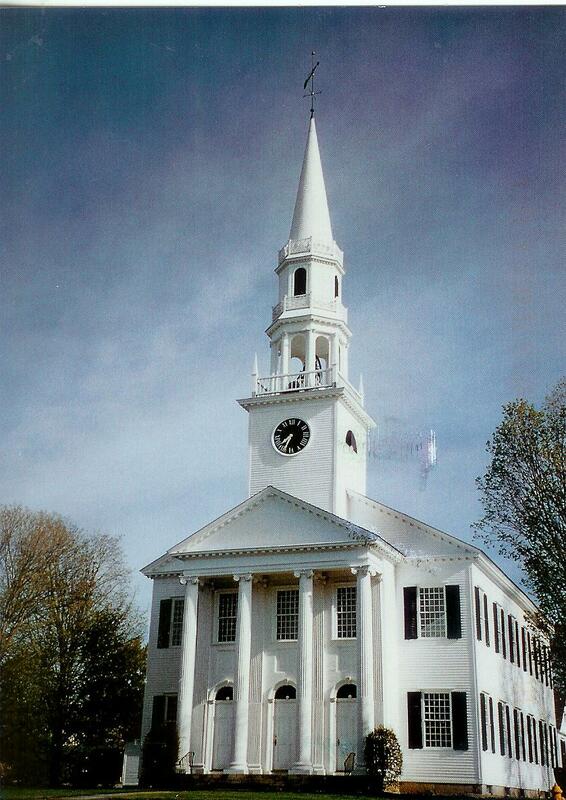 Built in 1829, moved around the corner in 1870, and used as an armory, theatre and movie house. Restored to original site in 1930. The West Cornwall Covered Bridge (also known as Hart Bridge) is a wooden lattice truss bridge built over the Housatonic River in the town of Cornwall, Connecticut. 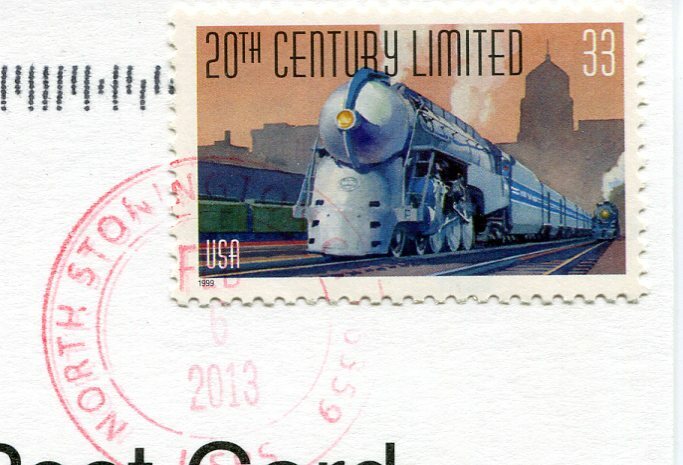 It is estimated to have been built around 1864. 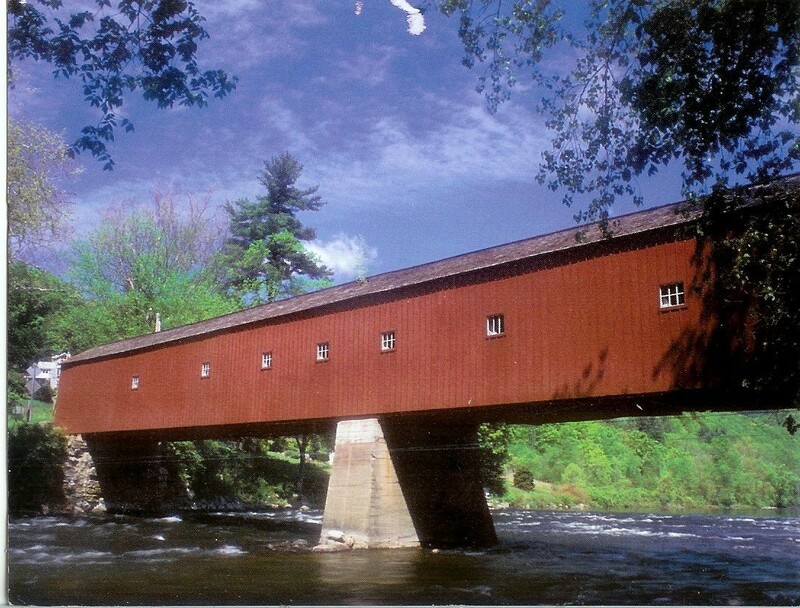 The covered bridge is 172 feet (52 m) long, 15 feet (4.6 m) wide and supports one lane of vehicle traffic for the Sharon-Goshen Turnpike (Connecticut Route 128). The bridge is built of red spruce timbers secured with treenails (wooden pegs). In 1973 the roadway was reinforced with the addition of a concealed steel deck. 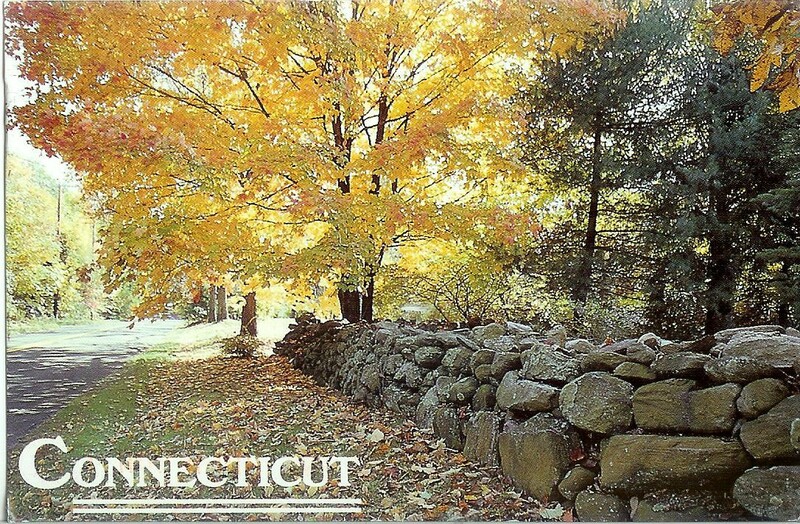 Miles of stone walls, some dating back to colonial days, leave an unforgettable impression on visitors to Connecticut. 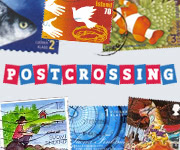 A lovely autumn card from a Postcrossing pal. Wild columbine by high water, along the Housatonic River, with Bull’s Bridge in the background. 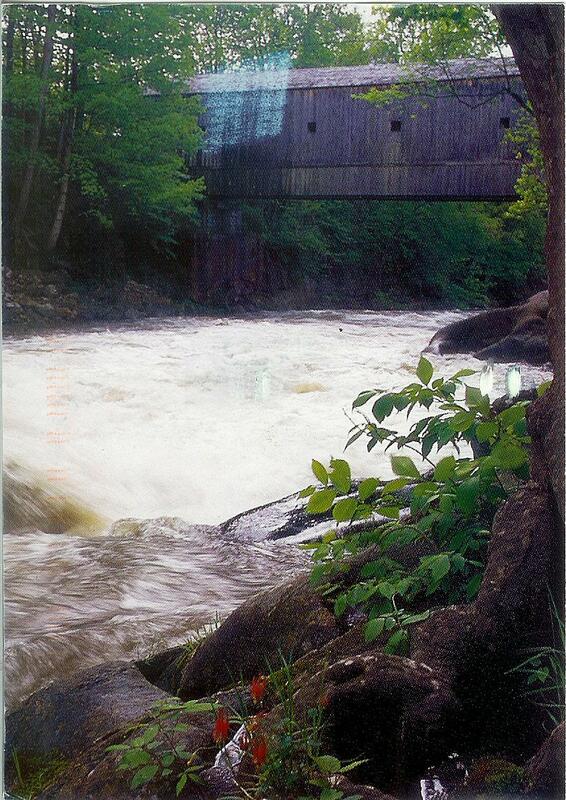 Beautiful covered bridge from a Postcrossing pal.